The Standard A-arm kit substitutes the OEM one but it widens the width of the vehicle. 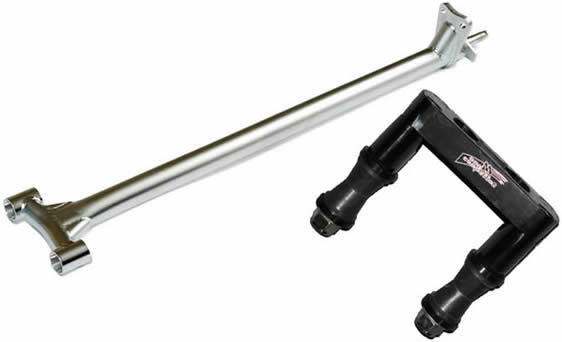 These A-arms have the same geometries as the original a-arms and they are installed with the standard shock absorbers (or with absorbers as long as the standard ones). With an RRP of £439.99 they truly are value for money. Omni Competition Steering Stems come complete with anti-vibe handle bar clamps and are built to high standards using quality material. Replace your bent stem or just upgrade your standard set-up and have the option of increasing height up to +75mm.